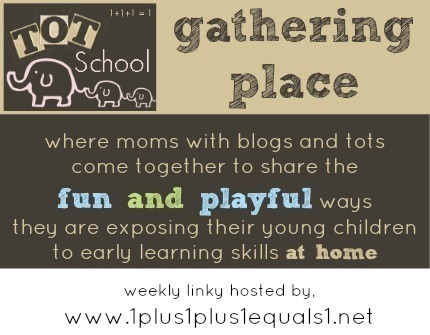 The Canadian Domestic Wannabe: Tot School: Poms and Pipe Cleaners. I have been reading a lot lately about Tot School. I originally found it on Pintrest, and followed the link to This Blog. I did a lot of searching and found so many things, so I was excited to 'enroll' our little jellybean. Tot School isn't school at all. It is just taking a little time out of each day to do child led play that is focused on learning. Today I decided to try focusing on fine motor skills. I found many things online that included pushing / putting pom poms, pipe cleaners or other small objects into a container. Most containers were chip cans, coffee cans or whitener containers, juice bottles, all things I don't have on hand or purchse. I dug out the poms and pipe cleaners and was digging through my cupboards trying to find something, anything, I could cut. Finally my eyes landed on a cup that was sitting on my cutting board. I visited Maine last Saturday and bought a cup of donut holes from Dunkin Donuts. I had never eaten there before, so we went for lunch; I brought them back for a treat. I emptied and washed the cup, then cut a hole in the top. I also picked out 2 of each colour poms in two different sizes: blue, pink, purple, white, yellow and green. I showed her how to poke the poms through the hole. Some are larger and require a little more effort, and some small can be just dropped in. She took to it quickly, but preferred not to poke them through the hole. She made me take the cover off and she put them in and out of the cup. After a few minutes, she tried to put the lid back on. I helped, but she quickly tore it off again. Eventually she moved all the poms to her chair and walked away. I thought maybe she was done, so I started to put it away. I was met with loud protests. I found her shovel and showed her how to scoop a pom up and dump it into the cup. She preferred to put them onto the shovel. She also accidently learned how to fling them across the room using the shovel. Thankfully, she was to surprised to do it again. She decided to take a book break, but it only lasted half a minute. Back to the cup! I showed her how to drop them into the cup while standing. She tried it twice, missed once, and lost interest. I didn't push it. Trying to take the lid off the cup after I had put it on again. I tried to find something else for the pipe cleaners, but couldn't. So, I just cut them into thirds and gave them to her. I showed her how to poke them through the hole in the cover, but again she tore it off and preferred to just put them in and out. So, this as our first official Tot School session. I am hoping to find more ideas and post more about it in the coming weeks and months. It certainly looks like the activity was a hit! Welcome to Tot School! Sounds like a great first day at Tot School! Great job following her lead!